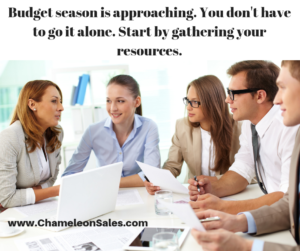 Besides giving performance reviews, preparing for budget season is the least favorite task of small business owners and managers. Tracking purchases all year and constantly checking budgets and expenses is a formidable task for even the most organized among us. It can be time consuming and cause overwhelm. Budget season is like Christmas. It comes once a year and we know where it is on the calendar. It is not catching anyone by surprise. Doing a little pre-work can really help reduce the stress of the season. There are people whose favorite thing to do is crunch numbers. That may be hard to believe, but it’s true. Find out who those people in your organization are. Or hire one. They have a natural skill set that will take your disorganized file system (digital or real) and turn it into a thing of beauty. Spreadsheets and programs like OneNote on Office 365 are designed for the uber-organized people of the world to use to take care of the rest of us. In addition, you may have already been providing bank statements, invoices, and receipts to your bookkeeper. This person probably has your information up to date each month. Request special reports filtered by whatever categories you need to have the data necessary to create your budgets. Possibly, you are already paying your bookkeeper to prepare budget reports for you which are reviewed weekly, monthly, or quarterly. Begin entering data into a worksheet by category or budget line and once you’re done, you know your totals spent year-to-date. Have a special way of notating on papers if something has been entered already or not so you don’t accidentally cause a double entry. Enter your totals onto the spreadsheet of last year’s budget in the column for this year and create a formula that will tell you the difference of actual versus budget, and percentage difference over or under budget. It can be done by line, category, and in total. These line comparisons are crucial for planning for next year. Create sum formulas at the bottom of each relevant column. If you are the business owner and have been following your strategic plan, you already know new items or sources of income that you are expecting in the coming year. Create new budget lines for those items now so you don’t forget in December. Once you have created your sheet and entered real numbers, make a copy of the sheet in a new tab on the same file. Go into the sandbox and play around. If you are at 75% of the year and your budget lines show you are not at 75% of budgeted sales and expenses, go in and see where you might be able to affect the final quarter in various categories and improve profitability. You may already be doing this throughout the year, but now you are almost out of time. Real numbers make better decisions. Budgeting can be hard but the hardest part is getting started. 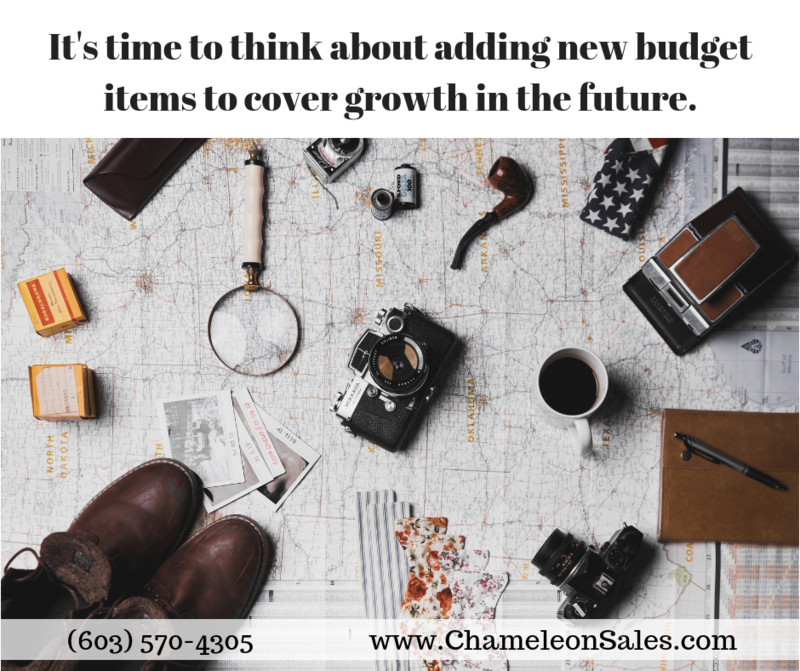 If you would like some help discussing how to grow your business and what your sales and expense budgets might look like feel free to call us at Chameleon Group. We are the experts in helping you grow your business.